We do not have a shop or storefront at our production location. Click here for retail stores that carry Herbal Star Candles. What shops stock Herbal Star Candles and products? We have no direct way to find out what shops might carry our candles is any given town across the country, but click here for a list of retailers we know consistently carry a great selection of Herbal Star Candles. Where do you make your candles? We make our candles here in a workshop at my home in Landisville, Lancaster County, Pennsylvania. We aren’t able to do all the paperwork involved, and the expense it so great, plus the possibility of damage when shipping glass. I'm a little nervous giving you my credit card over the internet... is your site secure? At the moment we only ship within the United States. I know that disappoints many of our customers in Canada and other countries but we are a small shop and at the moment the additional paperwork is unmanageable. Herbalstarcandles.com respects your privacy. Our Internet site is meant to be a service to you. In order to provide you with the best products, timely information and quality customer service, we record a variety of information from your visit to our site. To better protect your privacy, we provide this notice explaining our online information practices and the choices you can make about the way your personal information is collected and used. When you purchase products from Herbalstarcandles.com, we collect your name, address, telephone number, e-mail address and credit card information. We use this information to fulfill your order and to communicate with you about your order. In fulfilling your order, we only share your personal information with outside parties to the extent necessary to fulfill your order. We will never share your information with anyone else. When you send an e-mail to amy@herbalstarcandles.com, we collect your name and e-mail address and use this to reply to your inquiry. We do not retain your name and email address to be used for any other reasons but to assist you. When you register as a member of Herbalstarcandles.com, we collect your name, address, telephone number and e-mail address. You can use your Account to update your account information and save addresses. At any time you can cancel your account, correct or update your information. All changes will be active immediately, with the exception of in-transit order. For Members of Herbalstarcandles.com Site: Click on the “My Account” button at the top of the home page then on the Edit button to change your information and preferences. By e-mail: Send an email request to amy@herbalstarcandles.com including your name, address, email address and request. By phone: (717)898-6422 in the USA and Canada. Requests to be unsubscribed will be processed immediately; delays may occur if the email address or postal address information you provide us does not match the information in our database. 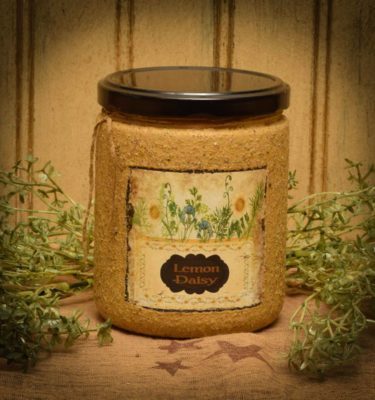 To enhance your shopping experience, the Herbalstarcandles.com site may have links to other sites on the Internet that are owned by third party vendors and other third parties (External Sites), or you may come to Herbalstarcandles.com from a link from an External Site. These other web sites will have their own rules on privacy that you should review. Herbalstarcandles.com is not responsible for the privacy policies of External Sites. Herbal Star Candles wants to ensure the security of your personal and financial information while shopping on our web site. Please be aware that no data transmission over the Internet can be guaranteed as 100% secure, but for this reason we employ strong security measures to protect your personal information to the greatest extent possible. Every page of the Check Out process on the Herbal Star Candles web site uses SSL (Secure Sockets Layer) to transmit your personal information to our servers. SSL is a set of rules followed by computers connected to the Internet. These rules include encryption, which guards against eavesdropping; data integrity, which assures that your communications aren’t tampered with during transmission; and authentication, which verifies that the party actually receiving your communication is who it claims to be. In addition to our SSL technology, we urge you to close your browser window after shopping online to ensure you are logged out of your visit and/or online account. This is especially important when you are sharing a computer, or using a computer with public access. Thank you for your interest in our Herbal Star Candles! We are happy that you are a shop owner that has found our candles, potpourri and accessories! We sell wholesale to shops and are always shipping out all over the United States and Canada (if there is a US address to ship to). We do not have a paper catalog but instead use a website you can order directly from. I’ll provide the information in the email for you to receive our wholesale specials and pricing. Please send me an email with your shop name, address, phone number and most importantly, your resale tax ID number. I can then provide you with wholesale information. Send email directly to: wholesale@herbalstarcandles.com or use our contact form. We check our inbox frequently during the day and will get back to you quickly.